This could lead to the discovery of new viruses, and better ways to protect ourselves against pandemics. We’re seeing incredible scientific discoveries being made every day, but new research indicates there’s a pretty huge gap in our knowledge when it comes to our own bodies – it turns out more than 99 percent of the microbes inside us are currently unknown to science. Researchers have long known that our bodies play host to a range of tiny lifeforms that make us who we are. 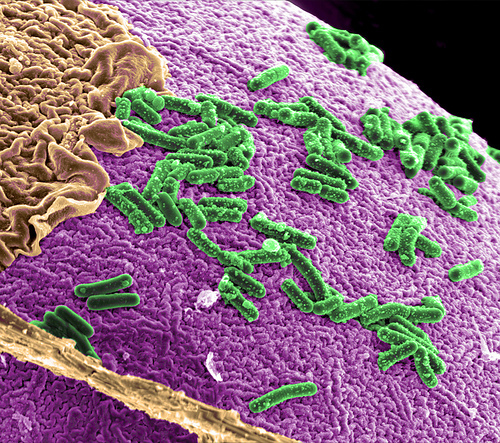 In fact, recent studies have shown that every human cell within our bodies is outnumbered by roughly 1.3 microbes. And this latest discovery suggests the overwhelming majority of them are totally alien to us. To figure this out, scientists took a close look at the DNA fragments circling in human blood to see what matched up with our current databases of life as we know it. They found that more than 99 percent of the DNA they found didn’t belong to lifeforms we currently know about. “We found the gamut,” says one of the team, bioengineer Stephen Quake from the Bio-X lab at Stanford University. As well as giving us a new sense of just how crazily diverse our internal microbiomes are, the work could eventually lead to the discovery of new viruses, and better ways to protect ourselves against pandemics. The research actually started out as a study into better ways to predict the success of organ transplants – at the moment doctors use a tissue biopsy (and an uncomfortably large needle) to look for signs of organ rejection, but the Stanford scientists wanted to find a less intrusive method. That led to an analysis of blood samples – from 188 patients in total – to see if the mix of patient and donor DNA could provide tell-tale signs of whether a transplant would succeed or fail. It turns out it could, and the team published a paper in 2015 on those results. But they also discovered there was more to the story: of all the non-human DNA collected during the research, 99 percent of it didn’t match anything in existing genetic databases. That’s one of those ‘wow’ moments for scientists. The majority of this non-human DNA belonged to a type of bacteria called proteobacteria, which includes E. coli and Salmonella among its many species. Previously unidentified viruses were also turned up, from the torque teno family. Torque teno viruses usually infect either humans or animals, but a lot of the newly discovered varieties didn’t fall into either group. “We’ve now found a whole new class of human-infecting ones that are closer to the animal class than to the previously known human ones, so quite divergent on the evolutionary scale,” says Quake. Given the fact it’s becoming increasingly clear that the microbes within our bodies – especially our gut bacteria – can play a crucial role in regulating our emotions, immune system, and even our brains, it’s important that we begin to properly understand exactly which tiny creatures live inside us. The researchers say that looking at these blood samples in an unbiased way – while they were initially looking for something else – is the reason they uncovered so many new microbes. Most studies are usually very focussed on one particular part of the microbiome or body, for example, and dismiss anything not directly related to their main experiments. Now the researchers want to take the same approach to microbiomes in other animals, which might lead to yet more bizarre discoveries about just how much we don’t yet know about the living world. One of the ways that could be useful is in classifying new bugs that cause infectious disease, and working out ways to stop them. The research has been published in PNAS. Watch: Do We Really Share 99% of Our DNA With Chimps?